What beautiful weather we’ve been having lately to welcome in Fall (although it’s still pretty warm)! 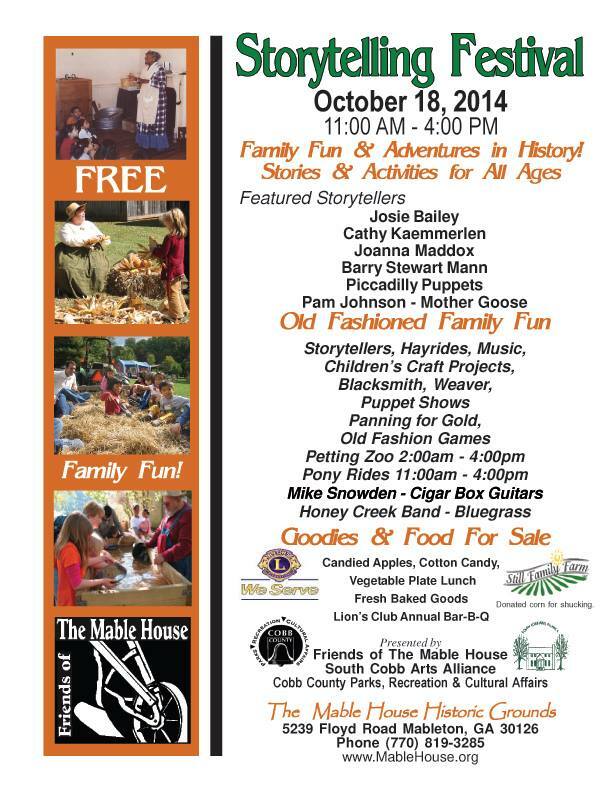 One of our favorite festivals each October is the Mable House Storytelling Festival: Fabulous Storytellers, our show Cherokee Tales, and lots of old-fashioned fun! They haven’t given us our show times yet, but last year they were at 11:30 and 1:00, so it should be something similar. Previous postTime for Dragon Boats in Peachtree City again! Next postGa Gives Day, & a Show in Alpharetta!